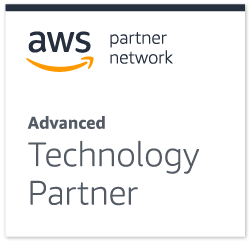 AWS re:Invent 2018 is just around the corner! We’re delighted to once again be a sponsor at this event. You can join us there to find out more about our data transformation solutions – Matillion ETL for Amazon Redshift and Matillion ETL for Snowflake. 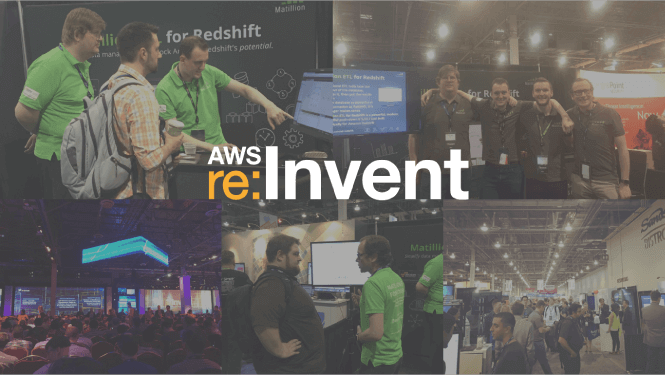 With a jam-packed agenda of eagerly anticipated keynotes, after hour activities, boot camps, certifications, and loads of great sessions for beginners and pros, there’s something for everyone to look forward to at AWS re:Invent 2018. Registration is almost sold out! Hurry to book your spot. Then get prepared for re:Invent! But don’t worry if you can’t make it, you can still catch the keynotes by registering for the live stream here. For those of you lucky enough to have secured a ticket, we can’t wait to see you there! Want to see who is going from Matillion? Check out #TeamGreen and get in touch to schedule a meet up. Otherwise you can visit us at our booth. What’s the shakeup in Silicon Valley? Join us as we investigate global subduction zones, highlighting and plotting areas with the deepest earthquakes. Using Amazon Athena, Amazon Redshift, and Matillion ETL for Amazon Redshift, we prepare a semistructured geospatial dataset from the International Federation of Digital Seismograph Networks for visualization. Learn how to build a best-practice architecture using Athena to read and flatten Amazon S3 data, Matillion ETL to perform the more complex data enrichment, and Amazon Redshift for aggregation, before handing off the data to Amazon QuickSight for visualization. The Expo Hall is right at the heart of AWS re:Invent! Here you’ll find the World’s leading technology vendors, showcasing the latest and greatest software solutions. As a Gold Sponsor, we’ll be showcasing Matillion ETL for Amazon Redshift and Matillion ETL for Snowflake from our Booth in the Expo Hall. Matillion transforms businesses’ data, across its various locations and forms, into cloud data warehouses to enable informed decision making. Matillion is available globally for Amazon Redshift and Snowflake. Visit us at Booth #1332 for live product demonstrations, advice from our team of data integration experts and tons of cool swag! Can't make it to re:Invent 2018? Get a live 1:1 demo.